Stress: is it a real enemy or just a scapegoat in order for us to excuse ourselves for behaving in hectic and confused ways, and not to take good care of ourselves? We all know how difficult it is to fight stress and to achieve inner peace, even for people who have been trained. We have to deal with distractions, rejection, setbacks and difficult people on a daily basis which leave our energy and emotional resources running low. Defeating anxiety, stress, negative thoughts, procrastination and fears has never been easy. And it never will be. Not because there is something wrong with us, or because we are doing it the wrong way, but because it is something that indeed requires from us conscious effort, time, practice and a lot of mental energy. We are actually rewiring our brain: the aim is to change neuron paths that have existed since childhood and which make us behave in certain ways, and create a more useful path where things happen differently and are linked to different, more positive thoughts. Yes, it is difficult to fight stress, but in this workshop we will acquire some useful tools that give us a chance to succeed. How to take care of ourselves and engage in healthy habits​Join us and give yourself a chance to fight stress and to promote your self-care! 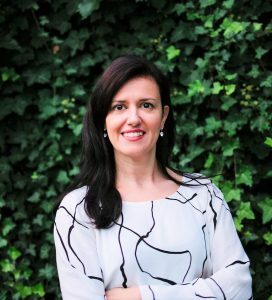 Vassia Sarantopoulou is a licenced psychologist, with more than 15 years of experience as a counsellor-therapist, trainer and speaker. She has studied Psychology in Athens, and she has completed two Master courses, one in Counselling (Athens), and one in Psychology (Leiden). She has lived in the Netherlands the last 6 years and she is the founder of AntiLoneliness, a company providing high-quality counselling services: personal/ online/ couples counselling – workshops – support groups.